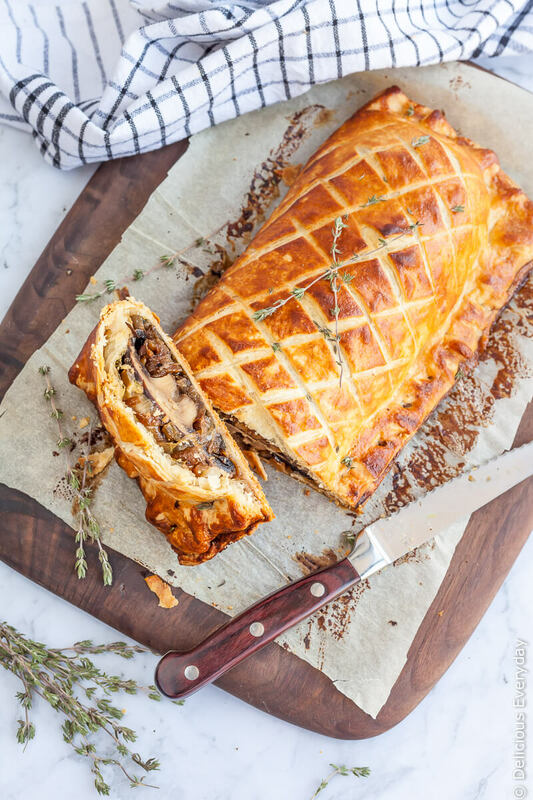 Juicy mushrooms take center stage in this vegan mushroom wellington – a fun spin on the classic beef wellington. 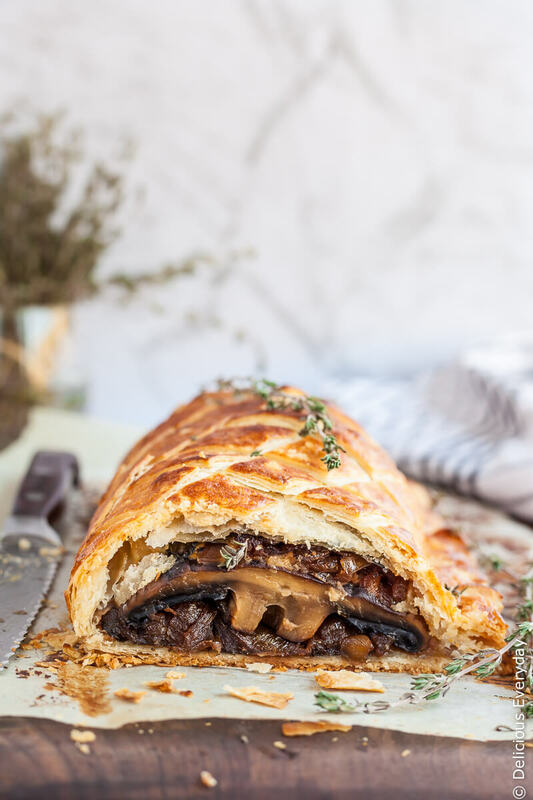 My Mushroom Wellington is a firm Christmas favourite. Not just with me, but you, my wonderful readers. 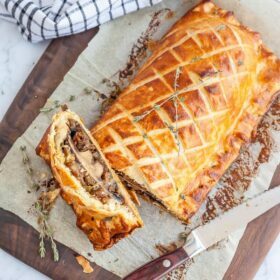 I first published this vegan wellington recipe all the way back in 2011 and I felt the very old and embarrassing photos deserved an update. 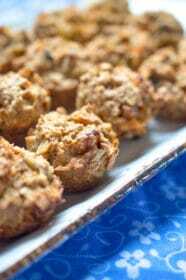 So a little history about how this recipe came to be. Back in 2011, I was asked by the Australian Mushroom Growers Association to join their Mushroom Masters Tournament of Taste. 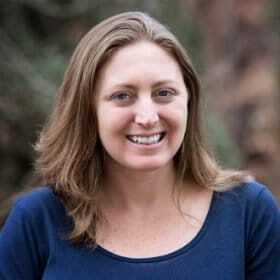 The Tournament of Taste was an annual competition between select Australian, Canadian and US bloggers who shared delicious recipes with mushrooms as the key ingredient. 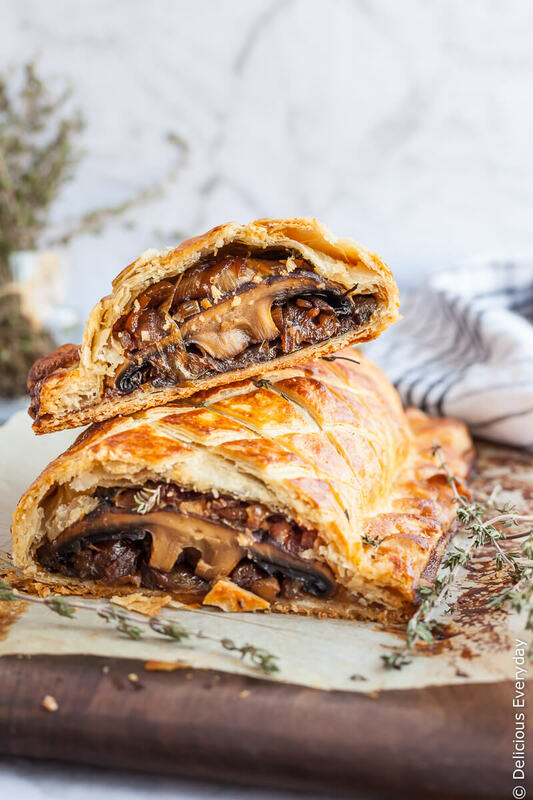 I racked my brain for a while over what to make, when one day (I think after seeing a cooking show on tv) I came across a beef wellington and thought wonderfully meaty portobello mushrooms would wonderfully fit. So my Mushroom Wellington was born and it just so happens that it went on to win! I’ve slightly updated my vegetable wellington recipe (only slightly) to make it dairy free, given I can’t tolerate dairy these days. And it just so happens that now makes it a vegan mushroom wellington too! 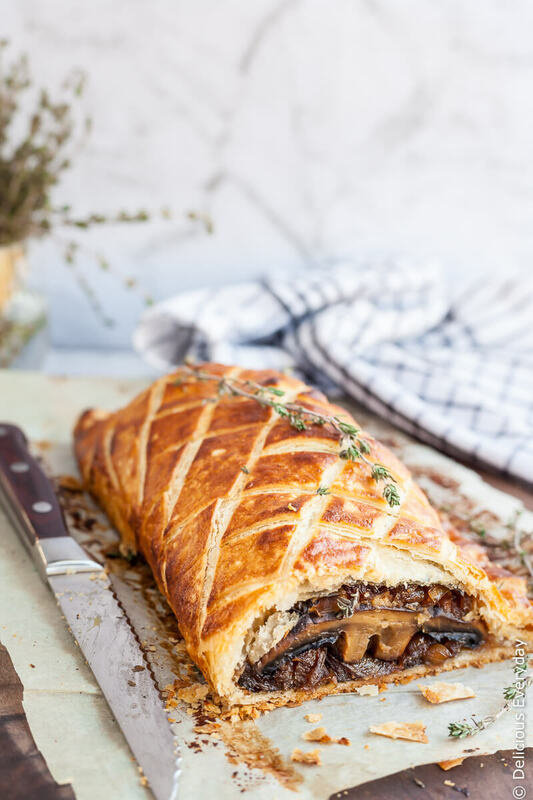 The secret to a deliciously juicy yet flaky Mushroom Wellington is to pat everything dry and make sure it is completely cold before wrapping it in your vegan puff pastry. Skip this step and your pastry is not only going to be soggy, it will tear when you try to wrap up your wellington. Can’t find a good quality vegan puff pastry? You can find my vegan puff pastry recipe here. 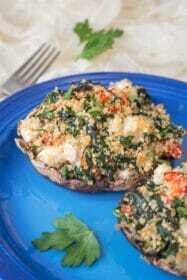 You want 3 to 4 large portobello mushrooms for this recipe. Try to pick mushrooms that are about the same diameter so you don’t end up with a lumpy bumpy portobello wellington. The mushrooms are then layered with cooked baby spinach (chard works well here too) and caramelized onions. A tip here, don’t use store bought caramelized onions are they are far too sweet for this recipe. Take the time to slowly cook your own onions and you’ll be rewarded with the most delicious flaky and golden vegetarian wellington imaginable. 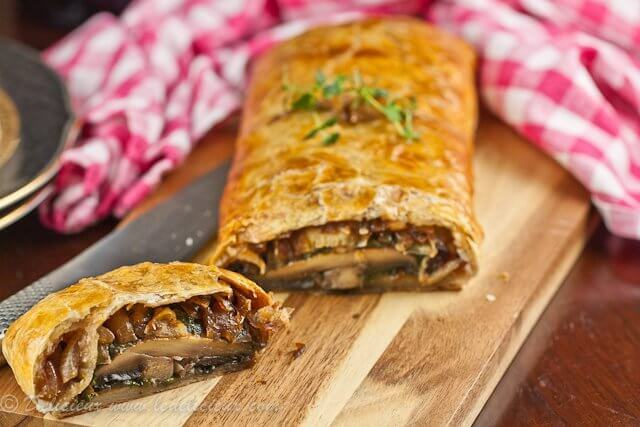 Looking for the perfect side dish for my Mushroom Wellington? Look no further than my Crispy Roast Potatoes! Golden, crunchy and spiked with herbs these potatoes are nothing short of addictive. So make extra as they will disappear fast! The photo just didn’t do the recipe justice. Did it? 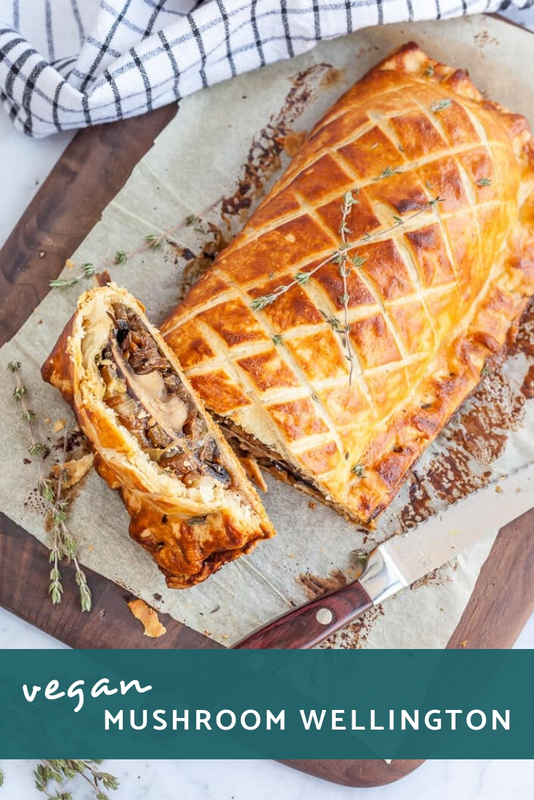 Thank you to Australian Mushroom Growers and Tastespotting for sponsoring this vegan wellington recipe. Made this and I love it!!! Roll out the pastry and let it rest for 30 minutes, rollout the pastry and let it rest… If you do the puff pastry ahead of time the rest comes together pretty easy. I would encourage that you do your own puff pastry, but allow for 4 hours to complete the recipe. It may seem daunting, but it really isn’t. 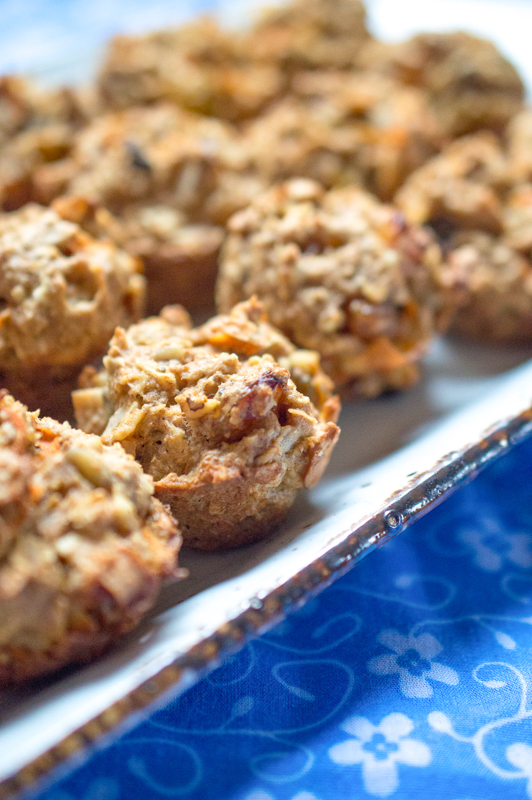 What a clever and delicious recipe!! 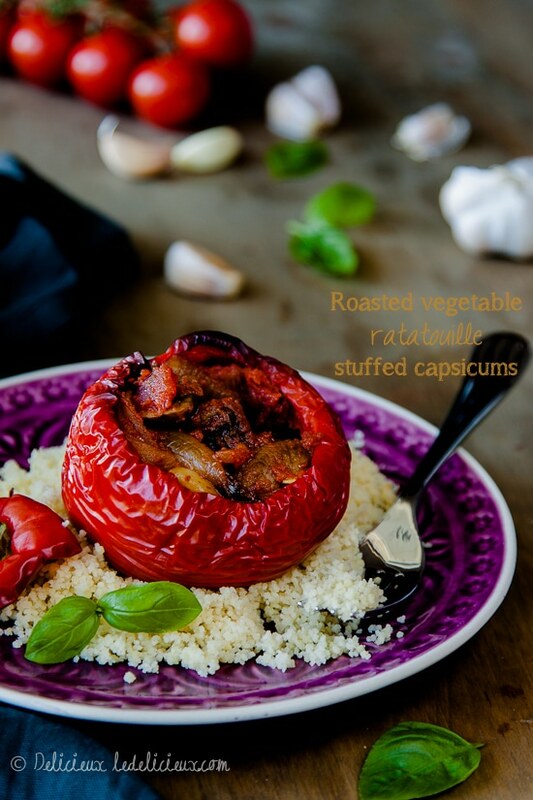 A fabulous uncomplicated recipe that is a real favourite at our place. Delicious! I usually make extra and freeze it after cooking and cooling. 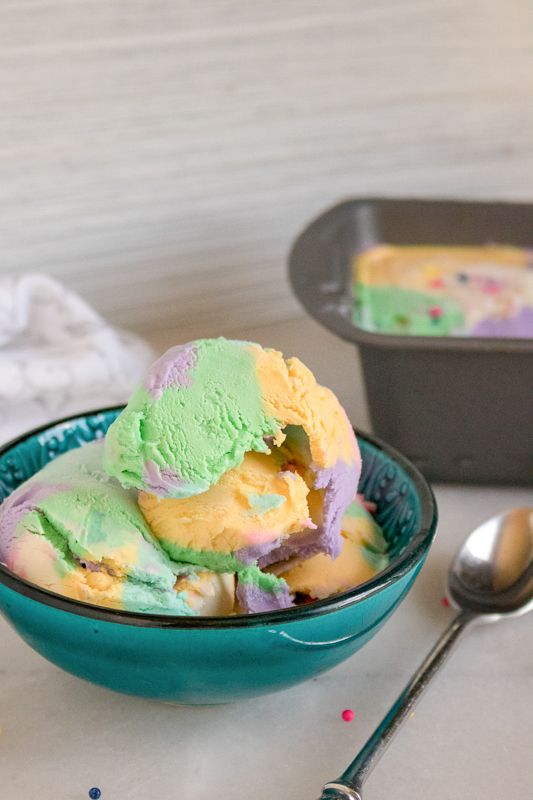 When we want to have it on another day, I take it straight from the freezer to approx. 40 mins in the oven and it is fine. I am new to trying vegan. One problem I keep running into is that I’m allergic to tree nuts. 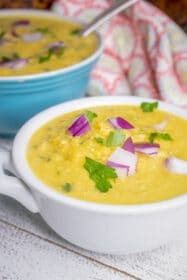 Can coconut milk be substituted for the almond/ cashew milk for the ‘egg wash’? I haven’t done enough research to discover if it’s always a decent substitute. Thanks! 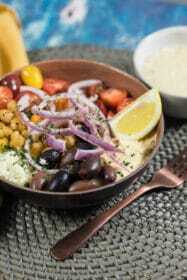 This looks delicious and I’ve been craving mushrooms the past couple days! I haven’t tried this one with coconut milk, but I expect it would be a fine substitute. 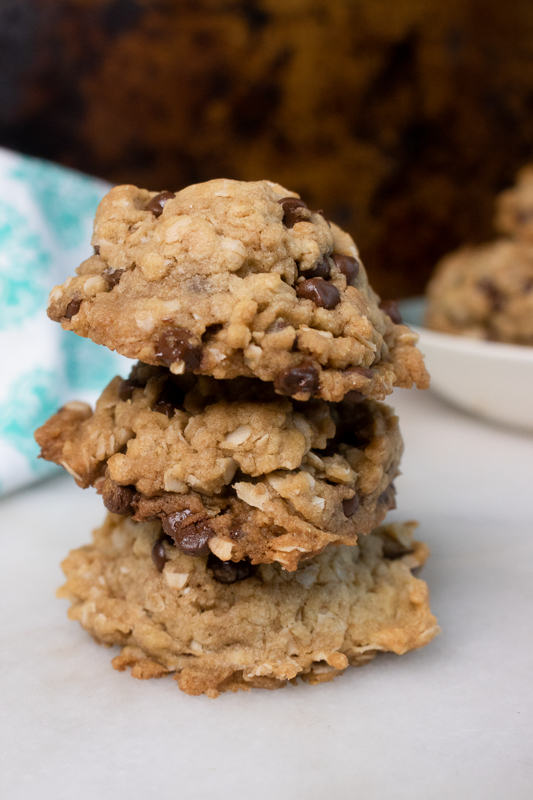 It might add a bit more coconut flavor than you like though! Rice milk might be a more neutral substitute. I made this for Christmas Eve for my vegan daughter – using only a tiny bit of spinach, as she doesn’t like it. Rather than put it in the freezer, I just let it rest in the fridge for a few hours, as I did with the beef wellington I cooked for the rest of us. I cooked for both 30 minutes at 400, and then 15 minutes at 350 and had them rest for another 15 minutes. My daughter really enjoyed it, and has been enjoying the leftovers. I’m so glad you enjoyed it- thanks for sharing! My 15yr old daughter and I made this for our Christmas dinner. Turned out amazing! We used 2 portobello’s and then 5 large Cremini as we didn’t have enough of the portobello’s. We caramelized the onions , cooked the mushrooms and made the spinach the day before. This worked perfectly, as all we had to do was roll out the pastry, fill it and do the egg wash freezer steps. We will make this again! I’m so glad you all enjoyed it, and even more impressed that your daughter made it. I bet she will turn out to be quite the chef! I made 2 from the ingredients listed. I added minced garlic to the spinach and rosemary, parsley and thyme to the mushroom caps. If they are cooked with the mushroom caps top down then the juice doesn’t drain as bad and they don’t get soggy. It’s also really important to let those onions caramelize to get out the extra water from them. This was a HUGE hit for my daughter’s birthday. Thanks Dena! I’m so glad you enjoyed the recipe. Could I freeze it overnight betfore the second egg wash? I have some readers who have reported success with freezing it overnight, but I haven’t tried it myself. It might get a bit too soggy- it would take a while to freeze through and the filling may soak the pastry in that time. But you could definitely prepare the filling the night before and then assemble and bake the wellington when you’re ready to make it. I have just finished the filling preparations and finish the bake ahead our family vegan Christmas dinner tomorrow. Fingers crossed! Ps. Thanks for a wonderful recipe.